For the last couple of years I’ve really looked forward to the Clarins summer make-up collection and this year’s, Splendours, is one of the prettiest yet. I did an overview of the whole shebang over on beaut.ie but today I want to focus on what, for me, is one of the standouts of the whole collection. Rich but translucent colour is a massive trend this year, but with this product, Clarins was way ahead of the pack. They first appeared in 2010 with new variations appearing every summer since (check out last year's offering here). In their earliest incarnations, these really were just a tinted lip balm – an extraordinarily aesthetically pleasing lip balm, but just a lip balm nonetheless. More recent collections have seen the brand add a core of pigment to the product which means that it’s possible to get a lovely colour from these as well as all the hydrating, smoothing, plumping goodness of the balm. Clarins recommend that you apply the centre pigment first, then turn the product and apply a layer of balm. With gelled oils to combat dehydration, and Vitamin E to protect from free radicals, these slick on smoothly and are lovely and comfortable on the lips. Four shades are on offer this year with two of them particularly demanding our attention. Crystal Gold Plum and Crystal Berry are rather astonishing shades of green and blue, respectively, but don’t worry, they don’t show up like that on the lips. The tinted balm complements the inner core of pigment, so you end up with a very wearable shade of berry or plum. I’m completely in love with this product. 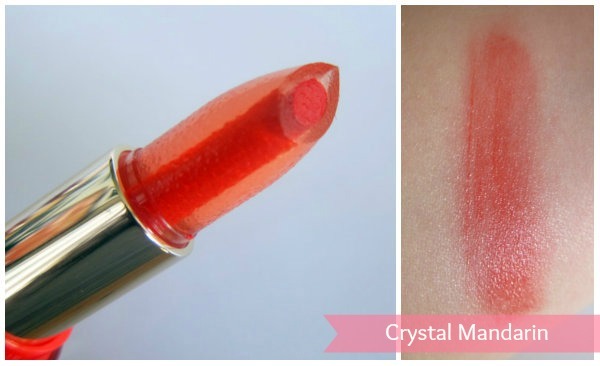 Not only does it feel hydrating and look pretty, but it also smells just like sweeties – and the shape reminds me of a Push Pop, too. My favourites are the Rose and Mandarin shades but for sheer novelty value I expect Gold Plum and Berry will sell out first. A word of warning though – these are limited edition, so if they’re tickling your fancy I wouldn’t hang about. They’re all €22 – like the look of any in particular? I love the mandarin shade! Love the colours on you Emma. I'm terrible at biting things like this off my lips if they taste too good!!!! 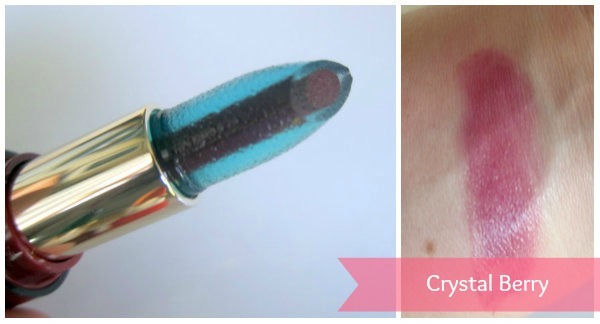 These look amazing, I'm not normally that excited about lip products but these sound fun. 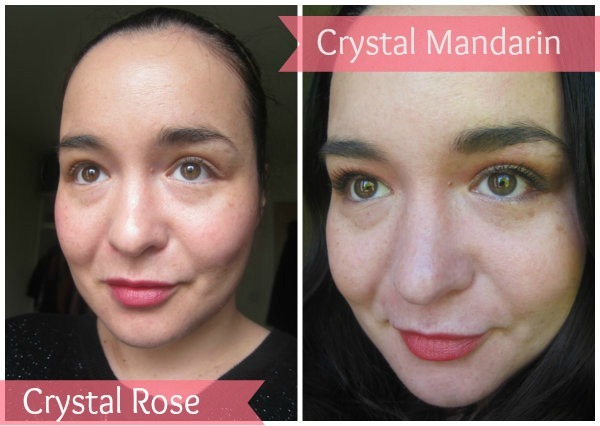 I like the crystal mandarin one the most, I think it would suit my complexion. 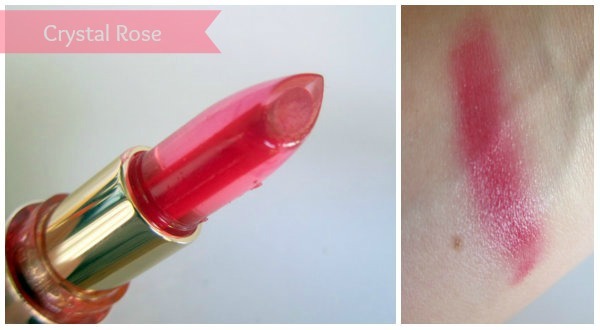 Just from looking at the first image, I can see how gorgeously lush and smooth this lipstick is. All the colours are stunning, I have to try this, thanks for letting me know about it. These look good enough to eat! I love Clarins in general and their lip products never let me down. I don't think I could choose which one I like best they are all gorgeous! The coral one has my name all over it, stunning. They look so interesting! Thanks for the review - I'll have to check them out! Those look really good! Loving that crystal mandarin. These colors are so pretty. I think my favorite is the Crystal Rose. Need to get my paws on Crystal Mandarin, such a pretty colour! 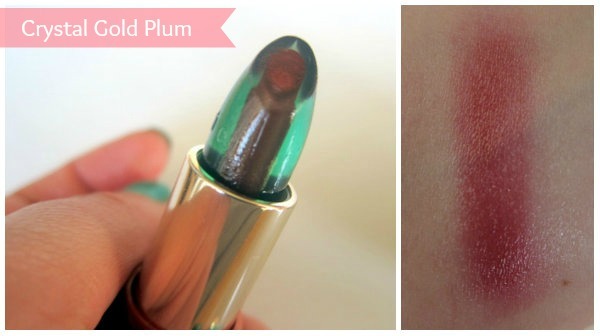 You know how I love translucent lipstick, well, this is the non plus ultra!! Before seeing your picture I was thinking "I'd love to try the Crystal mandarine" and then I saw it on you and I love it!!! 22 quid is just way too much for me to spend. :-( good review though! Looks great - I'd probably go for crystal mandarin. I love these colors! I wish they are available in my country. I heard Kiko has similar products like these? Could you do a comparison? Sorry Izzie - I'd love to but we can't get Kiko here! This product certainly looks interesting! I think that the combination of the balm with color center may work well. I wonder if we're going to see more of it.